There's a lot to look forward to during Wednesday night's ESPY Awards, ESPN's annual ceremony honoring the year's major achievements in sports. Caitlyn Jenner will receive the Arthur Ashe Courage Award, funnyman Joel McHale will serve as host, and Nate Ruess will provide the ESPYs musical entertainment for the evening. 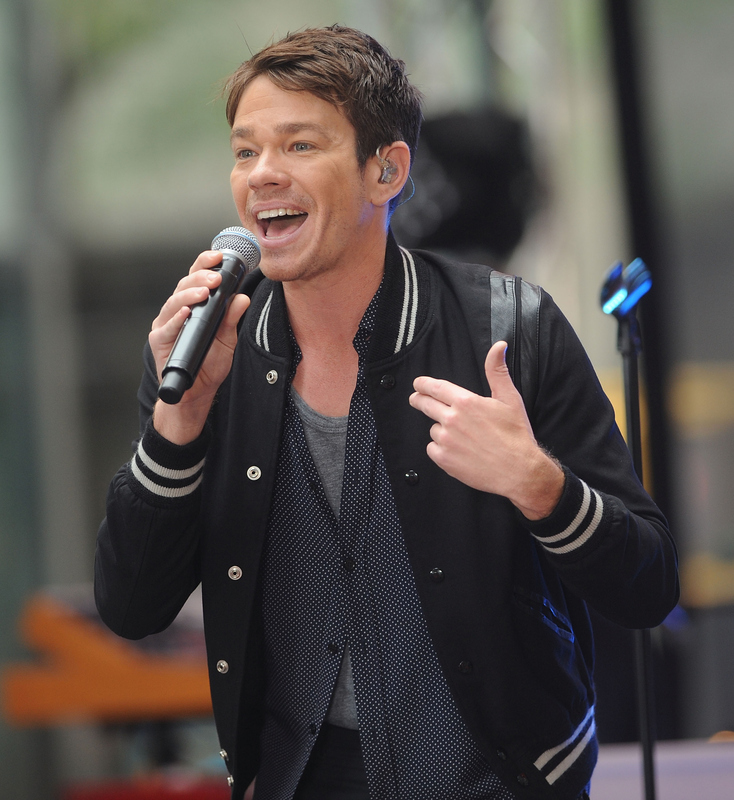 If by now you're asking yourself who Nate Ruess is, I have your answer. Since Ruess will be the musical guest for this awards show, you've probably already guessed by now that he must be able to perform tunes of some kind. But, then again, Britney Spears is scheduled to present at this year's ESPYs and Drake hosted the show last year, so you never know. ESPN and ABC could always decide to switch things up and have an actor or athlete serenade the audience and the viewers at home instead. Hey, Lindsay Lohan once performed a hip-hop routine at the MTV Movie Awards. Anything is possible. But, no, that's not what is happening here. Ruess will definitely be performing, and he's definitely a musician. In fact, even if his name hasn't exactly achieved household recognition status, you've definitely heard his music before. These six facts about Ruess are sure to jog your memory. 1. He's The Frontman Of fun. Ruess is best known for fronting the pop-rock band fun., whose breakthrough sophomore album Some Nights earned the band Grammys in 2013 for "Best New Artist" and "Song of the Year." That album also gave us three hit singles that are probably still stuck in your head three years later, "We Are Young," "Some Nights," and "Carry On." Lately, however, things have been quiet on the fun. front. The group, which also includes members Jack Antonoff and Andrew Dost, announced in February that the band would go on hiatus as the bandmates pursued solo projects. However, the band has been quick to emphasize that it's not breaking up, so there should be more fun. had by all soon enough. In the meantime, Ruess seems to be doing just fine on his own. His ESPYs performance will be promote his recently-released solo debut Grand Romantic . This album has been getting so-so reviews, but it'll help the void left by fun. 's absence for the time being. If you don't know Ruess for his work with fun. or his own work, you've probably heard him steal the spotlight on someone else's single. Ruess has made notable collaborations with P!nk ("Just Give Me a Reason"), Eminem ("Headlights"), and the Beach Boys' Brian Wilson ("Saturday Night"), who compared the singer's voice to that of his late brother Carl Wilson in a 2014 Rolling Stone article. Ruess also partnered up with Beck for the track "What This World Is Coming To" off of Ruess' new album. I can't wait to see who he works with next. So, let's say you haven't heard any of Ruess' music. That's still no excuse for not knowing who he is because you've probably seen him on TV. Ruess guest starred as a key adviser on Season 8 of The Voice . With such a unique and powerful voice of his own, he might just get asked back to appear on the show again in the future. You better watch out, Adam Levine. The lead single from Ruess' debut album is titled "Nothing Without Love." Why such a mushy title? Well, it's probably because Ruess has a special someone in his life right now. Ruess has been dating fashion designer Charlotte Ronson since 2014. Naturally, she inspired a lot of the love songs on his new album, which may or may not be why she's so supportive of Ruess' career, promoting his music and gigs all over her Instagram account. Ruess may not be nothing without love, and he's definitely better off with it. Now that you've spent this entire article pronouncing "Ruess" like "Rousse," "Russ," "Rues," or some variation of those, I'm here to set the record straight on how to say this singer's last name. It should be pronounced like "Rousse." That's how Ruess pronounces it at least. However, this isn't without controversy. His family says his last name like "Roosh," according to this video interview Ruess did when he was still a part of his 2000s band The Format. That makes me think that's the actual way to pronounce his last name, but Ruess is just saying it the way he wants. How punk rock of him. So, by now you're probably saying to yourself, "Oh, yeah. That guy." My work here is done, and enjoy the ESPYs.